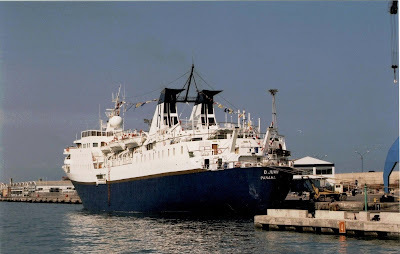 very fond memories of SS "CHUSAN"
This post is a very Historic one and would not be possible without the contribution of my Friend António Silva, keen follower of this blog, who sent me the postcard of the Paddlesteamer "RIPON". 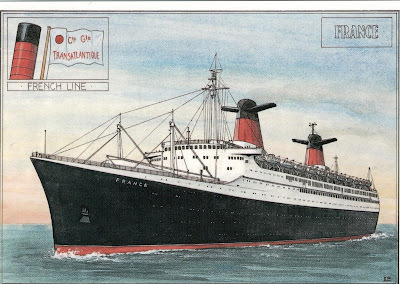 The ship was built for P&O in 1846 and was 1508 GRT, seen here in this remarkable postcard, the ship is leaving Southampton in 1854 with the "GRENADIER GUARDS" on board on their way to the CRIMEAN WAR. The GRENADIER GUARDS is an infantry regiment of the British Army and were founded in the 17th century, during the CRIMEAN WAR four of their members received the VICTORIA CROSS, the highest military decoration awarded for valour. 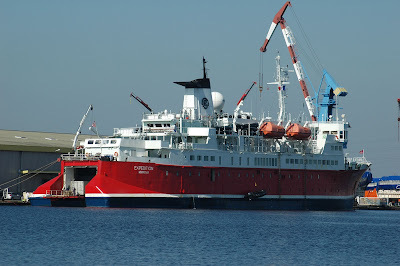 "RIPON" was also famous when she brought the first hippopotamus to the UK in 1850. A very special thank you to Antonio Silva. 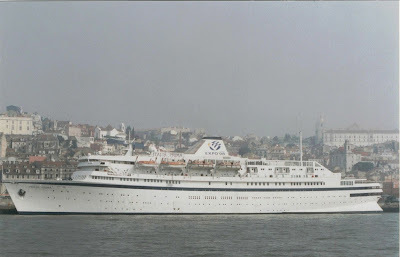 VENTURA was P&O's first superliner, the passenger ship to surpass the 100,000 GT in the company's history. 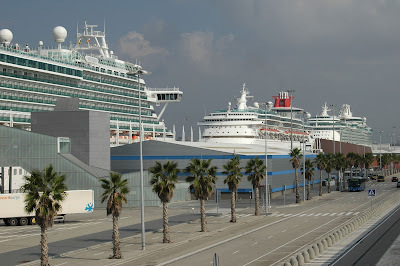 She debuted in 2008 and was followed by a sister ship, the AZURA in 2010, both built in Fincantieri, Monfalcone yard in Trieste, Italy. 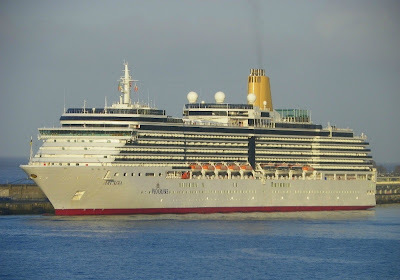 Here's some images of VENTURA in Funchal, taken through the years, in 2010 and 2011 and including of her maiden call in Madeira.VENTURA with an unusual full brown painting in her funnel, 1st April 2010. 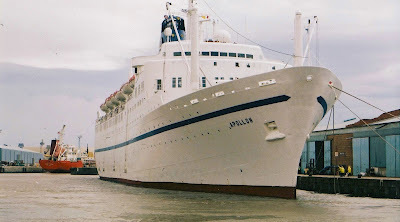 Seen here at Southampton in June 2000, is the former P & O CRUISES ship "ARCADIA", the ship was originally built as the SITMAR "FAIR MAJESTY", she was sold to PRINCESS CRUISES and renamed "STAR PRINCESS", the ship debuted in 1989. 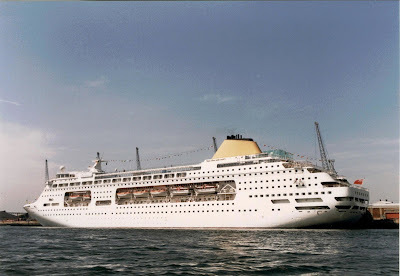 Between 1997 and 2003 she was transferred to P & O CRUISES sailing as the "ARCADIA", the vessel is today employed by P & O CRUISES AUSTRALIA and is named PACIFIC PEARL. 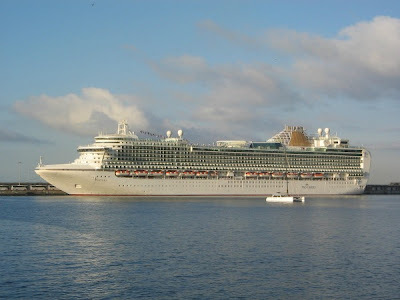 P&O's Vista cruise ship ARCADIA seen in Funchal on a sunny 8th of July 2010 during a Canary Isles cruises. 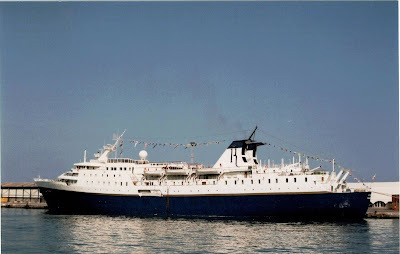 The 4th passenger ship with the name in the centennary history of the fleet, entered service in 2005 and was inicially planned to became the 5th Holland America Vista class ship. 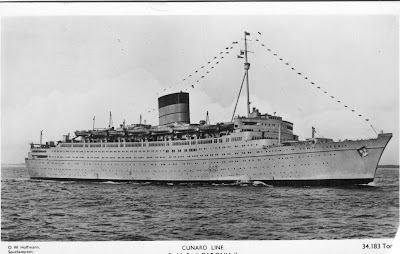 During construction she changed owners twice, first for Cunard to be launched as their's QUEEN VICTORIA and finally to P&O displaying the final result. 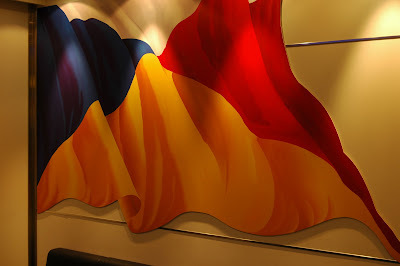 As the main author of this blog Vítor once stated, she's really one of a kind! 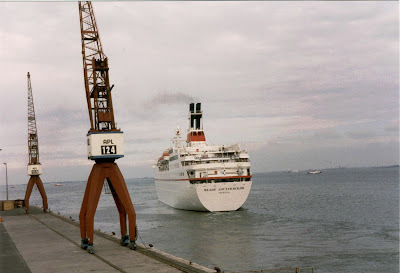 Her beautiful mast resembles of the last great liner QE2 and the funnel similar to QV's and the new QE only modified to P&O's style.Bellow is a video of the ship leaving her berth and "saying goodbye" to Madeira. 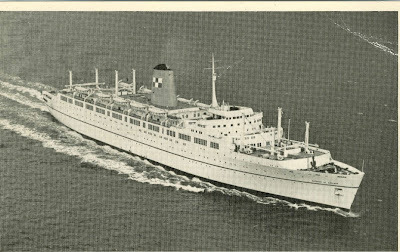 Text, Photos and Video: João Abreu-Madeira. 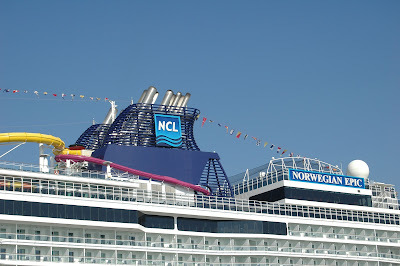 Freestyle Cruise Concept and the "NORWEGIAN EPIC"